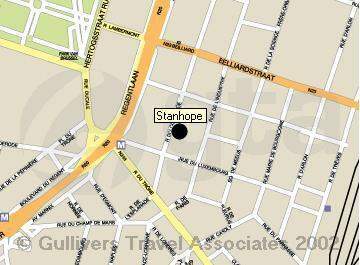 The Stanhope Hotel offers 108 luxurious rooms, including 2 Royal Suites and 2 fully equipped apartments. 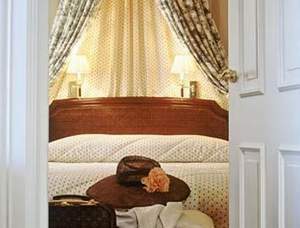 All rooms are decorated in a sumptuous English style. 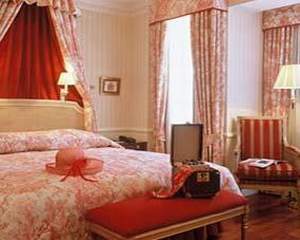 They are beautifully furnished with antiques, romantic fabrics, and master paintings. At the same time, the rooms offer new facilities, and modern services that are adapted to suit international business traveler needs.. The Stanhope Hotel disposes of 49 original guestrooms and one royal suite in the heritage wing. Viscount David Linley and Lady Joanne Stafford individually furnished all rooms with a classical and English style furniture, floral fabrics and master paintings. 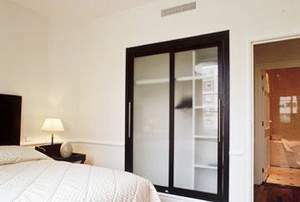 The contemporary wing has 45 deluxe and double standard rooms that have also been decorated in an English style, but with a fresh and modern touch. 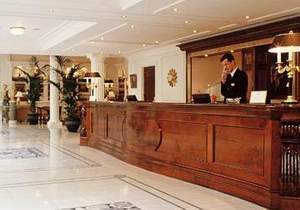 All deluxe rooms in this section of the hotel dispose of a separate living room and separate toilet and separate shower cubicle. The House of Ambassadors was inaugurated September 2004 and consists of one royal suite, 3 single standard rooms, 3 deluxe rooms, 6 double standard rooms and 2 conference rooms. The House of Ambassadors is a unique feature because it can be rented on its own for groups, delegations or important individuals. 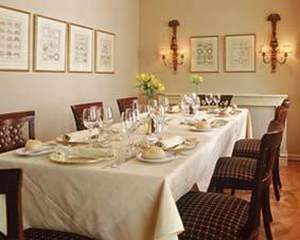 Due to its 2 conference rooms, private breakfast, lunch and dinner can also be arranged. The Brighton serves buffet breakfast, lunch and dinner. It is quoted amongst the best 3 red forks of the Michelin Guide. The restaurant is adorned with a portrait of King George IV, the British monarch who transformed the Brighton Pavilion into a fairy tale oriental palace at the beginning of the 19th century. The walls of the restaurant are embellished with frescos of figures in Chinese apparel; of which the hand painted originals are in the banqueting room of that same palace. 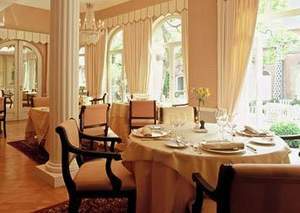 The restaurant is very popular during lunchtime due to its special business menu. When the weather allows, lunch and dinner can also be served in the interior garden, in the shadow of a 100 year old magnolia tree. Since January 2004, the Brighton restaurant achieved 1 Toque in the Gault&Millau culinary Guide. 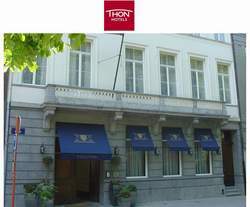 The restaurant serves French seasonal cuisine with Belgian produce. Opening hours: 12:00-14:30 / 19:00-22:00, Monday – Friday. Closed on Saturday, Sunday and official holidays. The library Bar is the perfect place for an aperitif or an after-dinner cognac in front of the fireplace. It provides a cosy atmosphere and is decorated with comfortable leather sofas, and warm colours. Opening hours: 16:00-24:00, Monday – Sunday. 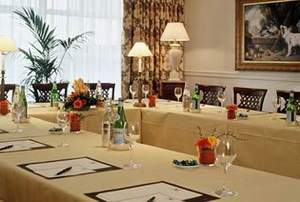 The hotel provides two Boardrooms for meetings of up to 16 people as well as general secretarial services. An in room fax machine can also be provided on request. 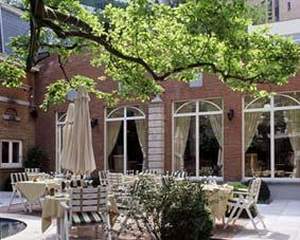 The hotel offers a Fitness Centre with sauna and solarium, and an exquisite interior garden in which to relax.